Auxiliary machinery | Mecanizados Martinez Vanaclocha S.L. In MARTÍNEZ VANACLOCHA, SLwe also count with a wide auxiliary machinery park, to complete preparation and finishing operations, tooling and fixture fabrications and short series manufacturing. we have got a manual band saw, for the fast and preparation-needless cut of unitary raw parts, as well as raw bars to be introduced in the CNC lathe’s barfeeders; plus two automated band saws that make possible the cut an entire bar of any material and geometry, generally used to cut unitary parts with which large-quantity orders will be manufactured. essential in any manufacturing workshop, the HURON and CME conventional milling machines are used daily to carry out the machining of unitary parts and small batch series, due to the fact that the set-up is practically non-existent in comparison with the milling centers. Besides, they also manufacture and modify any auxiliary component that is needed, both for the rest of machines and for our own facilities. 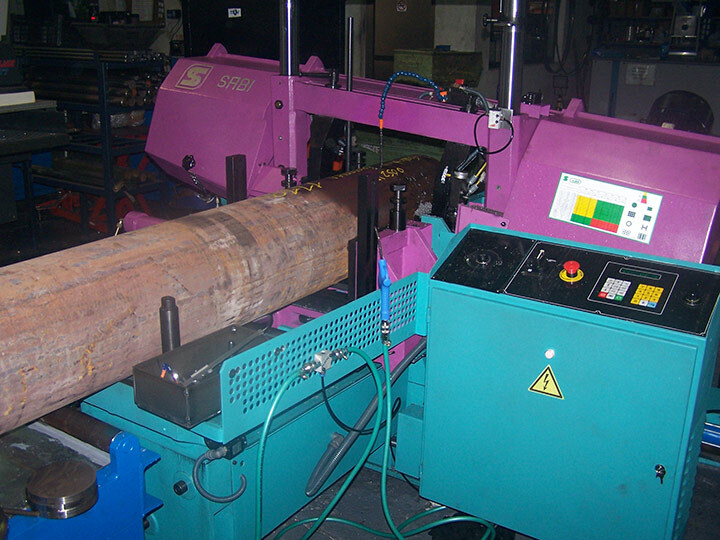 the last one of the manually operated lathes that the company possessed, and that have been gradually replaced for other computerized ones; but totally indispensable. 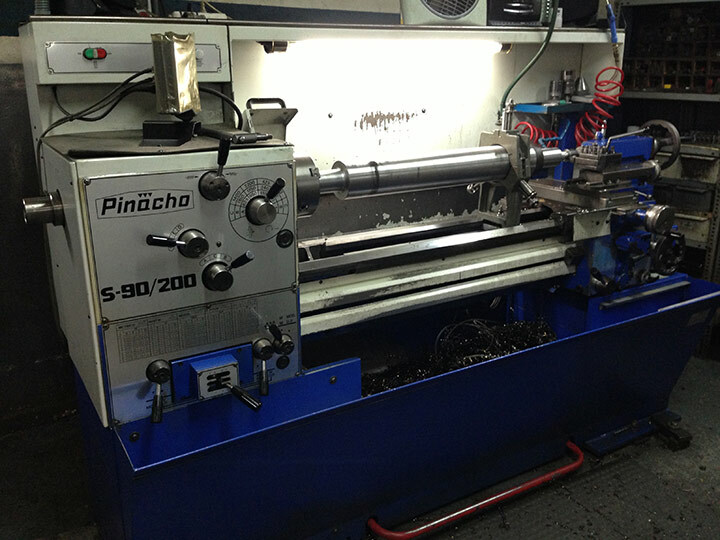 As well as the manual milling machines, the Pinacho lathe assists and produces any necessary tooling or fixture needed for fabrication, as well as short series of parts and pieces that, due to its size, are not able to be machined in a CNC lathe; making it very fast and without the need of any special set-up. 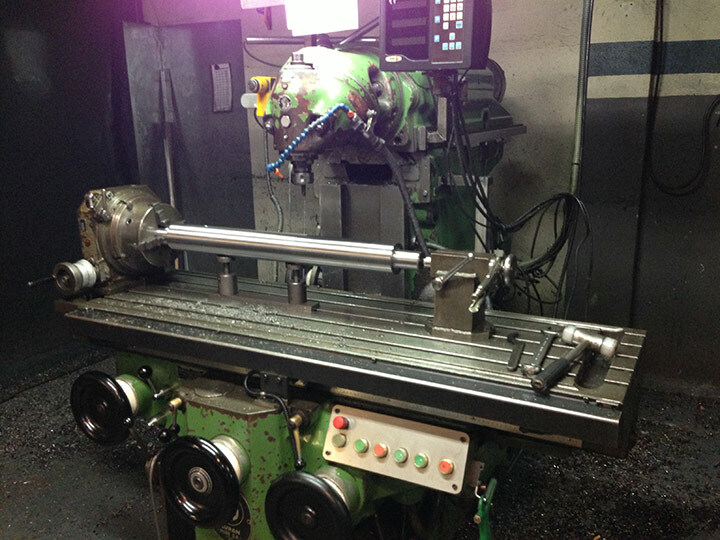 in order to perform drills, threaded holes, finish countersinks and counterbores… we have auxiliary drilling machines in practically every workplace, as well as a hydraulic threading machine at the disposal of every operator with the aim of simplifying their tasks. any part that requires an extremely precise flatness between their sides must stop over in the surface grinding machine. Either before being machined (to ensure parallelism or perpendicularity of the raw part) of after the last operation (to eliminate possible micro-deformations due to the general stresses of the machining process), after being grinded the parts can ensure a high quality. although less used, the press machine is essential in any mechanical workshop. Used for the assembly of parts and ensembles. a small sand-blasting machine allows us to carry out shot peening operations, which enhance both the surface finish and the corrosion resistance of the parts. for the assembly of several parts in a single welded ensemble, as well as for many auxiliary operations and repairs, the welding area (isolated from the rest of the workshop) is essential. to perform both internal and external slots and other geometric keyways in the fastest possible way. and other auxiliary mechanisms and machinery to easily remove burrs from the machining processes, allowing the CNC machines to be focused on the harsh machining.